"This channel offers news coverage of the main activities of the Holy Father Pope Benedict XVI and of relevant Vatican events. 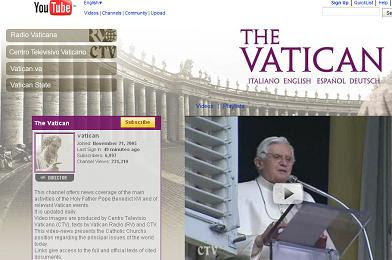 "Video images are produced by Centro Televisio Vaticano (CTV), texts by Vatican Radio (RV) and CTV. "This video-news presents the Catholic Church's position regarding the principal issues of the world today. "Links give access to the full and official texts of cited documents."